WINTER SALE - Usually 17.95, today just 7.95 - Save £10! 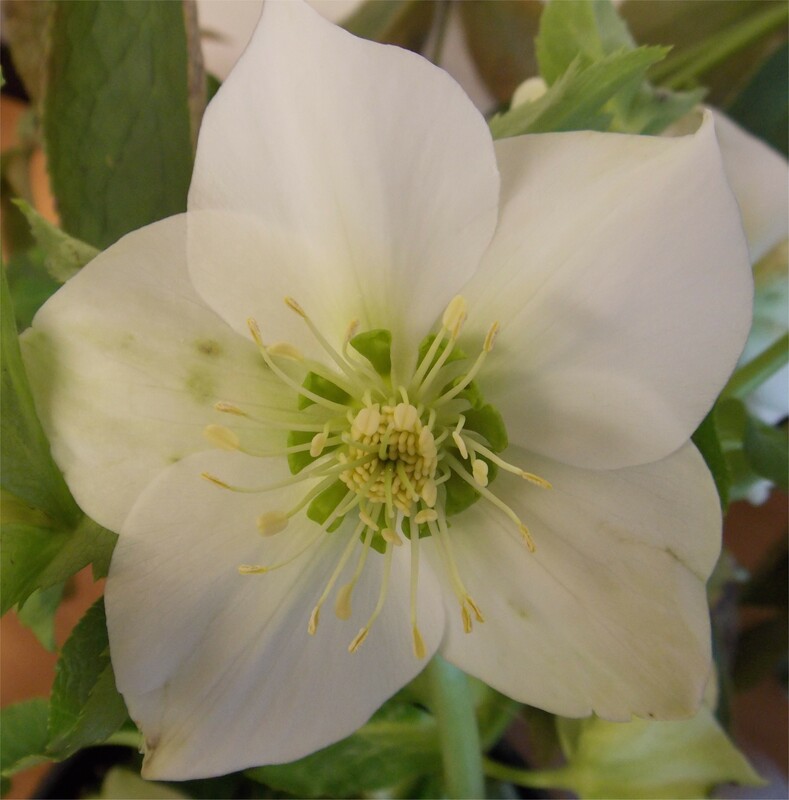 An unusual, exclusive selection from our own breeding program, 'Iced Lime' is an exciting new oriental Hellebore with large saucer shaped blooms of purest white with lime green 'anemone centred' high-lights. This special colour appeared as a hybrid between various varieties on our nursery a few years ago now, and we have been busy building up numbers so we can offer it for sale as flowering plants for the first time in 2017. Unlike other white oriental hellebores, we have found the flowers to be larger, very plentiful and a clear crisp white with bright lime-green highlights, where most other white oriental hellebores we have found have smaller, less plentiful blooms and are less clear and defined in colour than our selection. We are proud of this new plant for the winter and spring garden, and we have luckily been able to build up good stocks of this exquisite and and sure to be highly sought after selection. Once planted in the garden it will increase in size year on year as the clumps get bigger and establish it will produce more and more flowers, and they'll be bigger than in the first year of planting too. 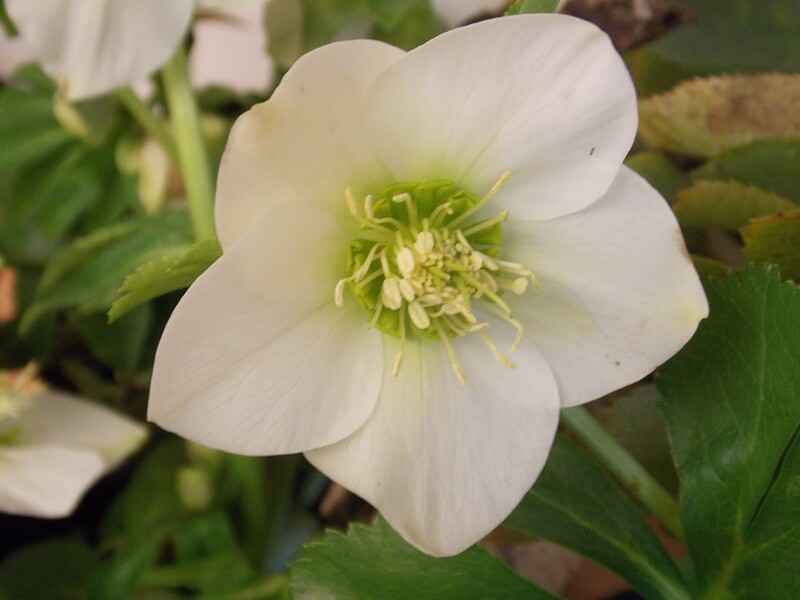 The 'Iced Lime' oriental Hellebore is a very easy going plant, in normal years the flowers appear from February to April, although we have had plants blooming as early as December before. The foliage is leathery and deep green in colour, resistant to the grazing of rabbits and deer which is useful if you have a woodland garden. This attractive variety is also perfect as a ground cover for areas of dappled shade under deciduous trees and shrubs, like all hellebores, 'Iced Lime' prefers a heavy soil. Supplied as established plants growing in approx 2 litre containers, these are supplied in bud and flower in season. Limited Supply!